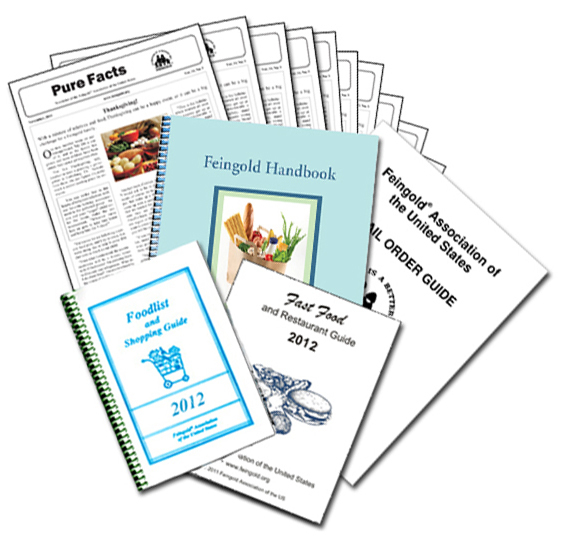 During the month of May, you can enter to win a FREE 1-year Feingold membership, worth $82.50! To enter, just become a follower of All Natural Mom and post a comment with your e-mail address. This will ony be used to notify the winner. If you’re already a follower, just post a comment. Feel free to post why you want to join Feingold. You can get friends and family to help you out by having them follow All Natural Mom and they will also be entered to win. They can then gift the membership to you. Anyone can enter. If you do not need the membership (maybe you are already a member), but know of someone who does, you can give the membership away if you win. The giveaway will end on May 31st at midnight. The winner will be randomly chosen and notified on June 1st. This giveaway is for people who have never been a member of Feingold before. I hear so often of moms who want to try the Feingold Diet for their child (or children), but just don’t have the extra money to spend. God has blessed me so much and I would love to bless another family. I am already a member but have a family in mind at church that I would like to bless with a membership. Thanks for the opportunity! I am already a follower and would love this for my 4 year old son who suffers from terrible allergies and hyperactivity. I am so excited to see you doing this giveaway! I am a huge proponent of Feingold. It has been a total life changer for my daughter and our entire family. We've been doing special diets for 7 years now, but it wasn't until we started Feingold over 3 years ago that we saw major improvements and total elimination of symptoms. This gift will be such a blessing to the family who wins it. Wonderful idea! I would love to be able to try Feingold with my son, who has HFA and ADHD. elizabethmoe at hotmail dot com THANKS! I'd love to win a membership. A friend told me about you & is seeing differences that I'd like to see in my middle son, age 6. He's very, very active & has trouble with overreacting, focusing & being very impulsive. I am already a member, but I have a friend who can't afford it and would love to have it for her 2 ADHD children. I am a mother of a 5 year old boy that was unofficially diagnosed as adhd. For years, I saw that my son was some what a bit more hyperactive than all the other kids around him. I first thought that it was because he wanted us to give him all of our attention, reason being, that before his first birthday, came the birth of his little brother. The second thought that crossed my mind, of why this behavior,was his age. Everyone I spoke to, told me it was all a matter of growing up. So, I left it that way, but found it very difficult to do simple things, such go to a restaurant, a store, or even a relatives house. There were constant fits, whines, breaking of things, and disrespect towards others. When he began preschool, thats when I knew there was a real big problem. Three days out of the week I was being called in to either calm him down or pick him up. His teacher would tell me that he would have fits and not only not follow directions, but would began to tear up the room. Many times I blamed myself and had several melt downs in front of his teachers, but they always assured me it was his age and that once he went to a more structured school, he would change. So, he went on to kindergarten. The first day of school there was a problem. Like always I made an excuse and figured it was that he needed to adjust. Not only that, but I decided to get some family advice on how to raise my child, but more than anything, asked them for ways of discipline that could make him understand that the way he was behaving in school, was unacceptable. Well, he is two weeks before finishing the year and not only has he been suspended 3 times, but now he is only attending school part-time. I have spent most of the year giving him time-outs and depriving him from all forms of fun. I literally hate myself for it. I feel as if this is all my fault. I went through so many emotional moments during my pregnancy with him and now feel as if all that emotion made him this way. Well, I guess he was made just a bit more special than normal and sent from god as a special gift for me. I love my son with all my heart and I want him to do better. He is in top of his class, academically, but I would like for him to be at the top of his class completely, both academically and behavior wise. At school, he is seen as an outkast, not only by his classmates, but by the staff as well. The reason this is so, is because my son has done everything from running away from the teacher, hitting his friends, tearing up the room and having big tantrums, that requires more than one staff member to get a hold of him. I have made so many changes at home because of this. I've done so much research on how to raise a child the right way, but all that doesn't seem to work. Just about two months ago, i decided to call mental health services after having to pick him up from school because of a huge tantrum he threw. He was evaluated and i was told that all signs pointed to adhd. Currently, I began sugar free diet with him and at times it seems as if though it does work, but I feel that I might be doing something wrong, because he still gets a bad card from school once in a while. I give him his omega-3 and multivitamin. I began looking into the feingold diet and it looks amazing. I literally thought my child had to eat as if he were back in the early 1900's, which is so difficult to accomplish knowing that there is a Mcdonalds at every corner. Because of his change in schedule it is much more difficult to keep up with a full time job, even though my boss is incredibly generous allowing me to keep him there at work by my side. My days have been cut shorter and my frustration to help my child has risen. I would just love a solution that would make my child feel good about himself and help me be the best less-stressed mom that I can be for both my lil monsters. Hello Sheri. We are a family of 6 that started exploring the Feingold diet about a month ago. We have not been able to purchase the materials yet. I wanted to thank you for the great information you provide on this site. I have turned to your shopping lists and recipes quite a few times over the past few weeks. We are already seeing relief from some medical issues as well as behavioral changes in our children. Our family is excited to see the progression when we are able to go 100% Feingold. Thanks again for the great info you provide on your blog! I would really like to win this giveaway so that I can give it to my sister and her son, who is just starting to exhibit signs of ADD at age 8. She is completely dedicated to helping my nephew through only healthy, holistic ways, and having the Feingold Membership for a year would help their family immensely. I want to help her in any way I can, and being able to give this to them would be an amazing thing! Thank you for this generous offer in your giveaway! 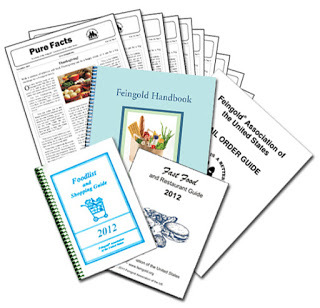 I am a new follower and have been wanting to try out the fiengold diet for our son who has ADHD and ODD. I would love to win the program, since we are choosing not to medicate our child. I would Love Love Love to win this! I have 2 boys and am dealing with ADHD in my oldest. I have just recently stumbled across this program and your blog. I am so interested and appreciate all of your hard work. We live on a very tight budget and would love this free membership!!! I have a lady at church who told me about this for her son and since my 4 year old is so hyperactive and cannot focus, I got few ideas from her and have SOME idea of what to buy (from blogs, etc. ), I would ABSOLUTELY love to have the program!! I just became a follower but if it doesn't show up, my email is bethyskids@yahoo.com. So helpful to have info frroom other moms and to know that I'm not alone!! SO EXCITED! just discovered this and would love to enter! My daugther will be starting this diet as soon as school ends, so this would be a huge blessing! My 8 year old struggles with ADHD, allergies and asthma… I've just learned about the Feingold diet and am anxious to try it…. I feel lost and would love direction! I am overwhelmed at the thought of drastically changing what we eat!!! I'm very excited about your site and would love to have more information!